The scent of rosemary can improve cognitive performance, making people faster and more accurate, research finds. Rosemary is a very popular herb in the Mediterranean region, with many dishes cooked with fresh leaves. Extract of rosemary has long been used by humans, going back to ancient Egyptian civilisations. For the study, 20 people were exposed to varying amounts of 1,8-cineole, the main component of rosemary. The results showed that the more 1,8-cineole they had in their bloodstream, after inhaling it, the faster and more accurate they were on cognitive tests. 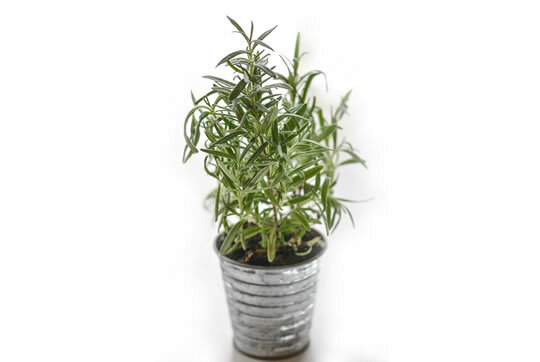 “Here we show for the first time that performance on cognitive tasks is significantly related to concentration of absorbed 1,8-cineole following exposure to rosemary aroma, with improved performance at higher concentrations. Volatile 1,8-cineole is also found in many other aromatic plants, such as bay, wormwood, sage and eucalyptus. The plants use the essential oil to deter herbivores and to attract predators of herbivores. The component of rosemary also made people’s mood slightly worse — perhaps because not everyone appreciates the smell. The study was published in the journal Therapeutic Advances in Psychopharmacology (Moss & Oliver, 2012).